The estimated value of footwear needed for the Gardaí is €2.5 million. The Irish government has issued an invitation to tender worth some €6 million (£5.1 million) for the supply of footwear to An Garda Síochána (the Irish police force – commonly referred to as the ‘Gardaí’) and the Irish Defence Forces. The contract requires the supply of shoes ‘in all stock sizes to both male and female members’ of these organisations. The estimated value of the footwear for the Gardaí is €2.5 million (£2.1 million), with €3.3 million (£2.8 million) available for Defence Force footwear. The contract is expected to last for three years, with an option available to extend the deal by an additional 12 months. 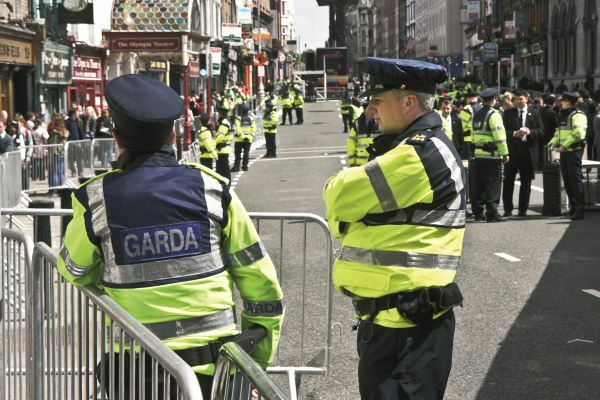 After the Irish government made recent budget provisions for an extra 800 police officers, it is expected that there will soon be around 14,000 serving Gardaí. The force requires two types of footwear, described as ‘a lightweight operational safety boot’ and ‘a lightweight operational safety shoe’. There are no fewer than 38 specifications that the suppliers of these shoes must meet – including the type of leather used, the foam padding, heel grip, inner lining and laces. Interested companies must submit two samples of shoe in sizes 9 and 10. There are currently just under 9,000 Defence Force personnel in Ireland, and the requirements for footwear to be tendered for this additional contract are more extensive than are needed for the Gardaí. The Defence Force tender calls for flame retardant safety boots, flying boots and lightweight shoes for artillery units.